Countless businesses (maybe you’re one of them) have tried their hand at advertising on Facebook, only to find themselves throwing money away click by click. Where, oh where should I be advertising? If you don’t already know, I’ll make this simple for you. With its seemingly endless list of features being continually updated, Facebook is widely known as one of today’s most effective online sales channels. Facebook knows more about its users than just about any other marketing platform. This translates to what may be the most definitive targeting capabilities available to marketers anywhere. Add your ability to improve conversion rates by combining multiple strategies and functionalities and marketers find themselves as the proverbial kid in a candy store. Plus, with 1.65 billion users and counting, you can bet your potential customers are already a part of Facebook’s usership, probably visiting on a daily basis. So, why not follow suit and dive into Facebook Ads like so many of your competitors already have? Well, for one, it can be tricky to create successful Facebook Ad campaigns. Countless businesses (maybe you’re one of them) have tried their hand at advertising on Facebook, only to find themselves throwing money away click by click. The truth is though, that if you take the time to learn about how to create quality ad campaigns, you can join the majority of Facebook’s 2 million advertisers who are using the platform to grow their businesses faster than ever. How, you may ask? That’s exactly what you’ll be learning today. Below are 4 examples of successful Facebook Ad campaigns we’ve run for our clients. There are parts of each example that you’ll be able to apply to marketing your business, so pay attention to the details. Read on and you’ll find yourself ahead of the curve, equipped with everything you need to know to market your business successfully on Facebook. Sometimes it can be difficult to take instructions and apply them directly to your marketing strategy. For this reason, the examples I’m giving below show you real-world results of actual ads that we’ve run for our clients. Create optimized Facebook Ads that make the most of your PPC budget and achieve the best ROI. Generate Facebook Ads Reports in order to determine what is working and what isn’t. Measure the success of your Facebook Ads by understanding which metrics to track to help optimize your results. You’ll see far better results when you take the time to learn these essential concepts. It will also help you to understand why each of the following campaigns was so successful. This strategy uses ads to drive awareness as its first objective. We advertise to people that don’t know the brand, products, or services. We show them ads that highlight a product’s benefits, for instance, with the objective to get their attention and drive people to the website. Once someone has visited the website, we use Facebook Retargeting to track their activity. This tool allows us to generate specific ads for people who have already been to the site and nudge them to buy. For example, we show them new ads with a specific coupon code as their special offer. It’s visually stimulating and engaging and far more likely to grab attention. It can be difficult to stand out on Facebook, so your ads must be visually engaging. In this ad we’re clearly touting the benefits of the product being sold in a fun way that involves the reader’s core problem. We’re targeting users who have shown interest in CurlKit, so you can guarantee they find it relevant. This ads call to action (CTA) evokes a sense of urgency—“Get June’s Curlkit before it’s sold out.” Also, the “Shop Now” button has been selected because it makes sense for the ad (rather than “read more,” “learn more,” “download now”). We wrap it up with a substantial special offer (20% off). We know they’ve shown interest in the product, now we just have to grab their attention with an ad that doesn’t let them say no. When using this strategy we noticed a good CTR (up to 4%) combined with a low cost-per-conversion (up to $10). Facebook dynamic ads are a powerful way to increase conversions for an ecommerce website. Plus, they work on all Facebook placements: desktop news feed, mobile news feed, audience network, Instagram, or desktop right column (like below). With Facebook’s Pixel you’ll be able to determine when someone has visited your site and what actions they’ve taken during their time there. Dynamic ads allow us to reach users based on specific actions they performed on a website. For example, many ecommerce businesses find shoppers viewing product pages and even adding items to their carts, but leaving the store before taking further action. Dynamic ads allow us to target users based on these actions. The fact that they have shown enough interest in your product to add it to their cart makes them a valuable lead. Sometimes it just takes a special offer to push them to convert. In the ads below, we’re being clear that we know they nearly completed an order for this particular model. We’re offering them a special 15% off code in order to drive them back to the site to buy. Dynamic ads usually provide the highest ROI on Facebook, up to 12X. Depending on the promoted product is it possible to get conversions with $2. The countdown ads strategy is a very effective way to create a sense of urgency and drive more conversions on a sale of a particular product/line. For example, you can start showing ads a week in advance announcing the end of a sale. Each day you’ll swap in a new ad that lets users know that there are fewer and fewer days left to take part in the special offer you’re promoting. You’ll need to schedule these ads to display appropriately or they won’t be as effective. For example, day -4 should stop displaying right at midnight and day -3 should start at 00:01. Do you remember which parts of the first ad made it such a success? Take a look at the next 3 ads and try to determine what made them so successful. I’ll give you a quick list to check your answers at the bottom. Countdown ads are a great strategy to generate quick results. Usually we get the best response on a 4-day countdown, combining interest targeting with retargeting. This can lower the cost per conversion up to 60%, thanks to the sense of urgency. Did you catch all the important success factors in the ads above? Oftentimes people won’t be ready to buy from you right away. This is especially true if you’re selling higher-value products or services. In these cases, the best strategy may be to aim for capturing their email address for future marketing. After all, once you have their email address you’ll be able to create specific ad campaigns for them or engage them with a specialized email marketing sequence. Offering a valuable resource like an ebook, style guide, lookbook, or fitness guide will give users the incentive to take the time to give you their email. Our client, whose ad is shown below, offers an excellent silver care guide because most of their products feature high-quality sterling silver. You can also combine coupon codes together with the content you promised In the email below we send a 10% discount code along with the silver care guide. 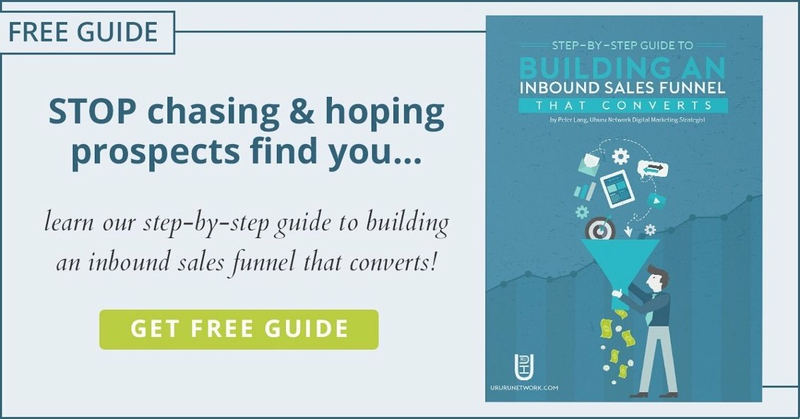 Surprising your leads with more than they were expecting is a great way to build trust and increase conversions. This is a strategy best used for long-term results, where customers need a bit more convincing (with high value products for instance). To generate the best results you should launch different funnels and have them in sequence. There you have it, four examples of highly effective Facebook Ad campaigns. You may want to bookmark this article so you have it close by when you decide to get started creating your own ads. Leave me a comment below about your experience creating your ads or with any questions you may have. To learn more about how we can help your brand achieve the same success that you see above, be sure to contact us to schedule a FREE Strategy Session.